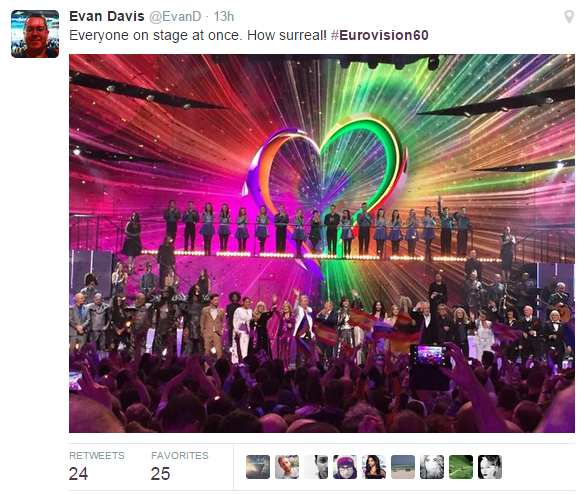 You may have seen #Eurovision60 doing the rounds on twitter last night and wondered why on earth people are talking about the Eurovision months ahead of the show. Well, last night saw the biggest ever reunion show of past winners in London’s Hammersmith Apollo in front of 5,000 Eurovision mad fans. 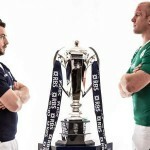 Judging from the reaction on Twitter the night went pretty well with a fair few surprises. 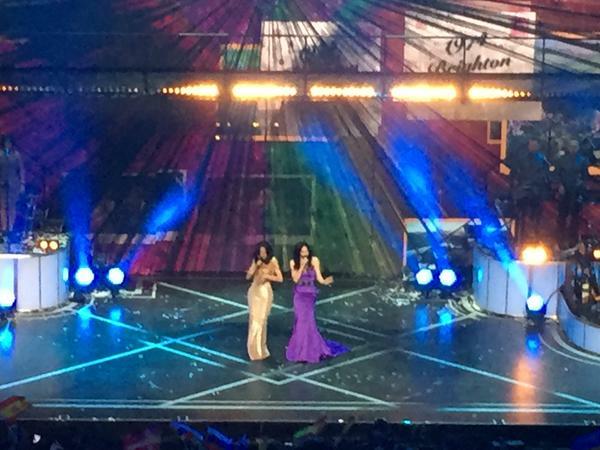 Ground-breaking Eurovision artists Dana International and Conchita Wurst performed a cover of ABBA’s hit ‘Waterloo’. Israeli singer Dana International made history in 1998 when she won the contest in Birmingham – the first transgender person to ever take home the crown. Bearded Austrian drag artist Conchita Wurst scored an epic victory in Copenhagen last year, becoming the first drag queen to ever win the contest. There were also big surprises in the form of The Riverdance! And if twitter is anything to go by, there are also lots and lots of surprises through the show. Of all the acts officially announced we here in Aertv wondered who else should be on the list. Yes the winning Spanish entry in 1968. Fair enough she is almost 70 now and would perhaps struggle to hit those high notes but she certainly wouldnt have a problem remembering the lyrics. Yes we always forget it too that Celine Dion broke into the music scene first by winning the Eurovion in 1988. One of only a few people in the last 30 years or so to perform in the Eurovion and actually succeed afterwards. 4. Linda Martin – Why Me? We could hardly leave her out now could we? Don’t be too surprised to see Johnny Logan drag her on stage during his performance. 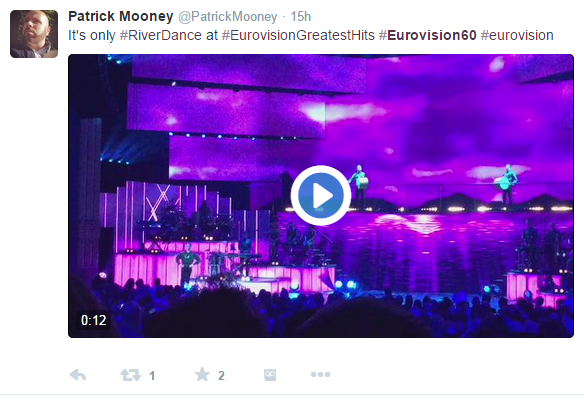 Anywhere he goes that’s Eurovision related, she tends to follow pretty close behind. You can watch all of the show this Friday at 9pm on BBC One!